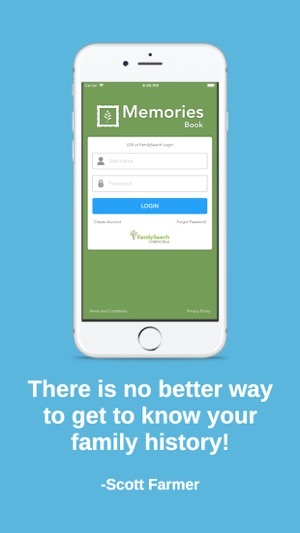 *This mobile app requires an account with FamilySearch.org. You can create a free account with FamilySearch. Family history is all about photos and stories. But sometimes it is difficult to know where all those treasures are hiding. 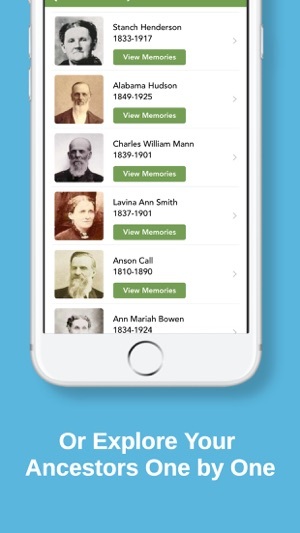 Memories Book brings all those gems in FamilySearch.org right to your fingertips with just a few taps. There are a lot of family history book tools out there, but none are as simple this. 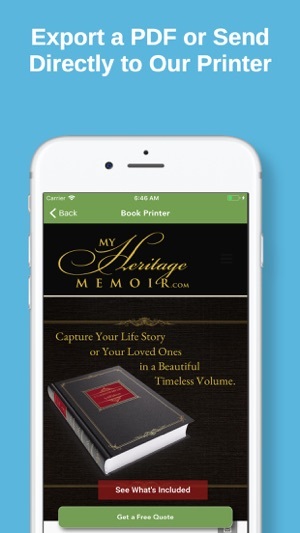 With just one click you can generate a free memories book. This book contains all of the photos and stories from your ancestors as well as a bio sheet that shows your relation to them and the basic details of their lives. Easily export this PDF to your email so that you can share it with your family or send your book directly to our printer. 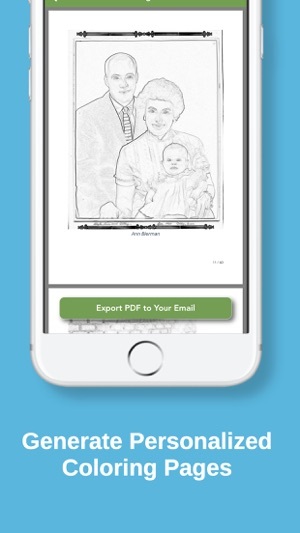 With just one click, you can also generate custom coloring pages from photos of your ancestors. 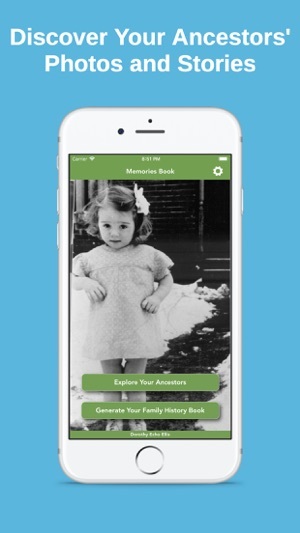 These pages are a great way to help your kids also learn about their family history. You can also explore your ancestors' memories one by one. 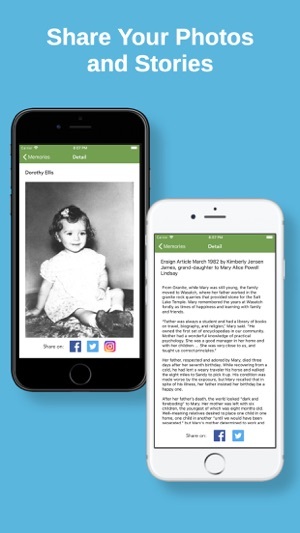 Discover photos and stories that you have never seen before and share them on Facebook, Twitter, and Instagram for all of your family to enjoy. CodePro Studios is a FamilySearch partner, authorized to help users explore and organize their family history memories. I found this app very easy to use. 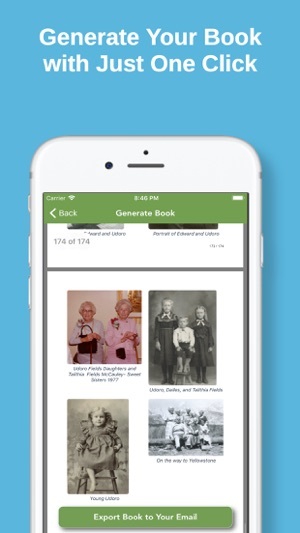 It will access your FamilySearch information and show you memories and photos which you can enjoy and share on social media. You can also download a PDF book to easily scroll through the photos and memories and share them with others. You can also send that PDF book to be printed and shipped to you. Simple and easy way to gather all my ancestors’ photos, memories, stories and documents from Family Search and put them into a single, tidy PDF. Will use in FHEs and family devotionals. Great thing to have laying around for the kids to peruse on Sunday afternoons. Thanks for the feedback. We love the idea of using this in your family home evening lessons and family devotionals!